This is the first release of the 2005 vintage Balblair single malt Scotch whisky expression. This replaces their 2003 vintage. 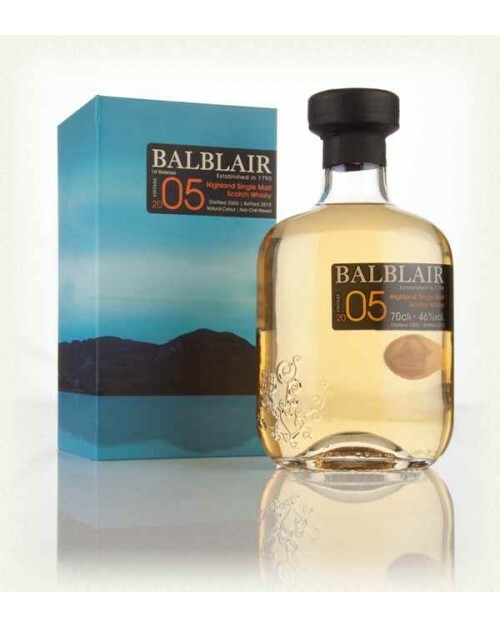 The 2005 is a lovely expression from the Balblair Distillery which was matured in American oak ex-bourbon barrels. Nose: Oak and vanilla, malt and faint notes of smoke. Palate: Citrus blossom mixed with hints of smoke and warm treacle tarts. Finish: Spicey, with malt notes.